Paper Straw in a solid white design. 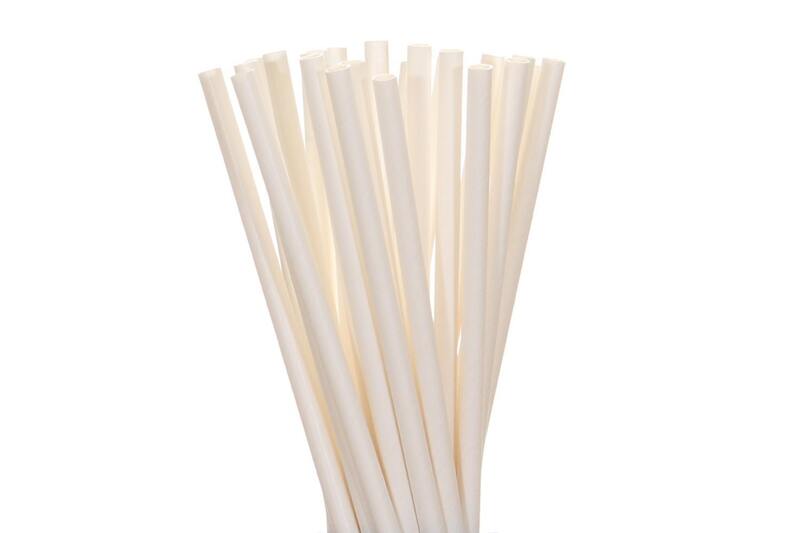 Use the drop down box to select the quantity of paper straws you need. You can purchase paper straws in quantities of 10, 25, 50, 75, 100, 150 or 200 all for one low shipping price. Paper straws are perfect for birthday parties, weddings, baby showers....any special event you can thing of paper straws would be great. Paper straws can even bring a little excitement to every day life. We can't promise it will make your green smoothie taste better but it would just be funner to drink. Thickest, Strongest, Most Durable paper straw you can buy. ** Please note that paper straw colors can appear slightly different due to various factors: lighting, monitor, manufacturer batch color variation. We carry over 300 different styles of paper straws in stripe, polka dot, heart and chevron, diamond, damask and so many more patterns. You are sure to find the perfect paper straw at Eve's Party Market.